If you have been charged with a traffic ticket in Brantford, then you have a right to fight the charges in court; and, with the help from an expert on traffic ticket defence in Brantford, you have good chances to succeed. At Ticket Defenders®* we are proud to say that we are the leading traffic ticket defence company, in Brantford and in Ontario in general. Since 1980 we have been working to secure for our clients the best possible outcome for any traffic offence charge that they may have received. The initial, no-obligation consultation with our ticket defence agents is always free. Whether it is a Careless Driving, Stunt Driving, Speeding Ticket, Racing, or a Stop Sign charge, we can fight it for you. From our court agents you can always expect honesty, fair pricing, and good representation backed by years of solid experience. We always aim to get your charges fully withdrawn, in order to keep your driving record clean. However, in cases where this is not possible, we will try to get it reduced to the lowest possible charge. We will exhaust every available option for you. There is no reason why you should not use your right to defend your traffic ticket from Brantford in court. Stop incurring demerit points. 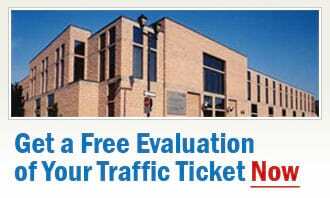 Contact us today for a free, no-obligation traffic ticket consultation and let the years of experience and success of our experts on traffic ticket defence in Brantford defend your ticket, your money, and your points for you.